The Birds of Paradise Collection pays homage to the colors, textures, shapes and movement of birds. These limited-edition makeup shades feature barely there roses, dramatic plums and warm coppers, and looks emphasize seamless placement of light and dark and color melting. 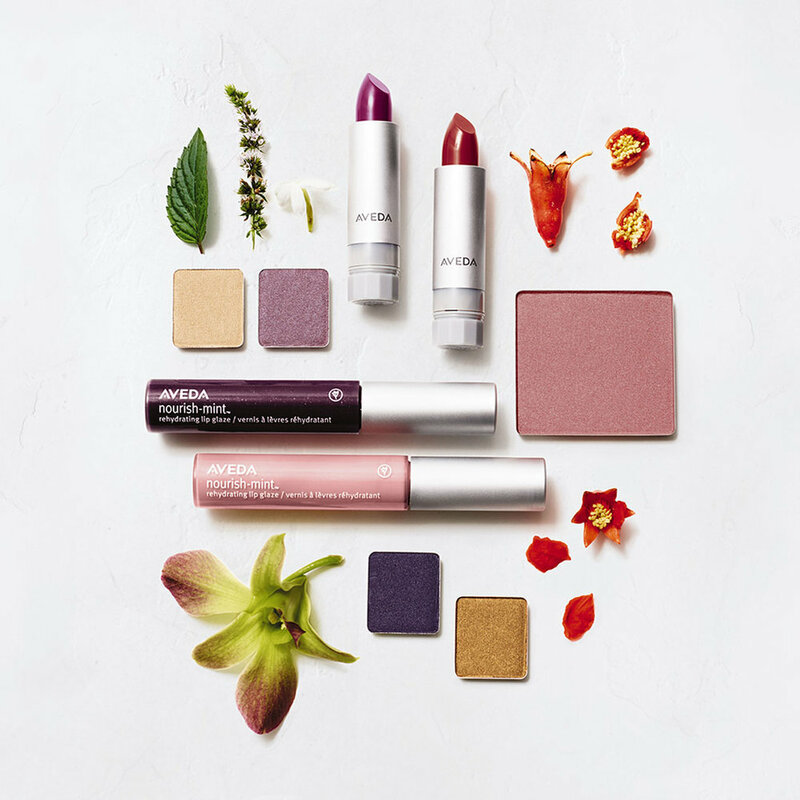 This season’s makeup looks draw on nature and Aveda’s partnership with the National Audubon Society. Birds are the inspiration for this collection not only because of their pure, natural beauty, but to raise awareness about the simple actions we can all take to counteract the alarming decline in their habitat.